Florida Georgia Line has skyrocketed since releasing consecutive, multi-week #1 smashes in the US and Canada with the GOLD-certified “Round Here,” PLATINUM-certified “Get Your Shine On” and 6X PLATINUM “Cruise.” Breaking the record for longest #1 on Billboard’s Hot Country Songs Chart, “Cruise” has sold over 6.3 million downloads in the US alone and is the second best-selling Country single ever, according to SoundScan. FGL is the only artist in history to join Brooks & Dunn in having their first three singles hit #1 for multiple weeks each. Poised to follow in the success, FGL’s new emotionally-fueled Top 5-and-rising single, “Stay,” showcases another side of their unique sound and tight harmonies. Amassing international appeal, the duo recently crossed a new career threshold -- tallying more than 10 million tracks sold worldwide from their debut album HERE’S TO THE GOOD TIMES (Republic Nashville), which has been certified PLATINUM in the US and GOLD in Canada. FGL has released a deluxe version of their chart-topping debut, HERE’S TO THE GOOD TIMES…THIS IS HOW WE ROLL, that features five new songs – including a collaboration with Luke Bryan – the “Cruise” (Remix) featuring Nelly; the making of the album and all official music videos with behind-the-scenes footage, as well as the unreleased video for “It’z Just What We Do.” Comprised of Tyler Hubbard (Monroe, Georgia) and Brian Kelley (Ormond Beach, Florida), FGL is currently on their first headline run, HERE’S TO THE GOOD TIMES TOUR 2013, breaking venue sales records nationwide with sold-out shows on all stops to date. 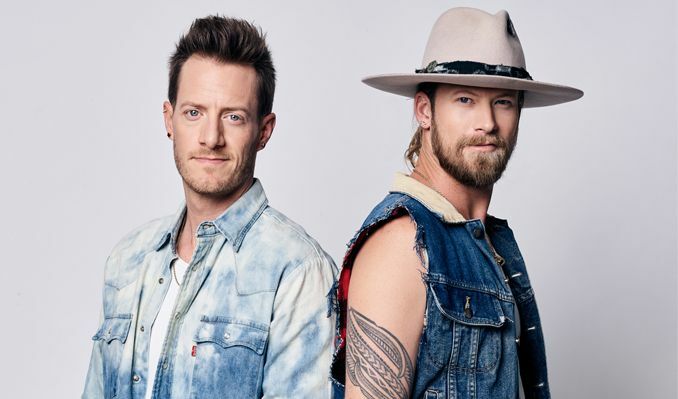 FGL has appeared on Chelsea Lately, Good Morning America, Conan, TODAY, The Voice, The Tonight with Jay Leno, Late Night with Jimmy Fallon, LIVE with Kelly & Michael, Jimmy Kimmel Live! and FOX & Friends as well as the Macy’s Thanksgiving Day Parade. In addition to radio, sales and touring success, the talented twosome has been racking up several awards’ show nominations, including nods in the New Artist of the Year category. The hot newcomers have previously taken home ACA, AMA, ACM, CMA and CMT Music Awards and garnered multiple TEEN CHOICE nominations.